Til Taila (0.60), Surajmukhi Taila (0.30), Eranda Taila (0.05) and Tuvarak Taila (0.05). Effective for burns, eczema, psoriasis, skin infections, cold sores and toe fungus. Ozorie Rapid Heal Oil provides quick action against infections. Ozone is bubbled through the til oil to give the anti-microbial properties. Apply thinly to the affected area at least 2 – 3 times a day. Multipurpose Ayurvedic Cream Ingredients: Coconut oil, Pandhari ral, Chandan tel, Bhimseni kapoor, Shankhjire (Talc), Kadunimb, Gokharu, Doorva, Pahadmool, Sudhajal. Piles, fissures, disorders of bowels, burning sensation of urine, palms, soles and eyes, unsound sleep, chilblain, cracked heels, skin problems, insect bites, mosquito bite, boils, prickly heat, itch, scabies, wounds, pimples, burns and diseases caused by heat and pitta. 777 oil is a single herbal formulation prepared by lipid extraction procedure. This formulation is first described by Dr JR Krishnamoorthy and was later patented by CCRAS, New Delhi. This drug is found to be effective in the management of Psoriasis. This formulation has already been Clinically evaluated serval Thousend of patients benefitted across India and many parts the world and has been proven to be very effective for longterm usage. 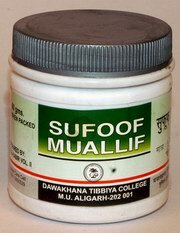 Useful in pain, wound healing, internal muscular pain, burning wound etc. Gugal, Ral, Gandhviroja, Shilaras, Mom, Anwala, Baheda, Harad, Nim patra, Nirgundi, Water. Ingredients: Extract of Turmeric, Sandalwood Oil. Indications: Vicco Turmeric, an ayurvedic medicine, prevents and cures skin infections, inflammation, blemishes, wounds and other skin disorders. It soothes boils, pimples, acne and burns. It nourishes the skin, improves tonal value and makes it fair and beautiful. Calendula Officinalis 20 grams, Hypericum Perforatum 10 grams, Achillea Millefolium 10 grams, Ledum Palustre MT 1.5 grams, Pulsatilla MT 1.5 grams. It acts as an Antiseptic for minor burns and injuries. It is helpful in varicose veins, twitching of muscles near wounds, urticaria, herpes zoaster. Effective remedy to cure boils, burns, wounds. A Herbal remedy for effective healing of Cuts, Wounds and Minor Burns. Apply required quantity over the affected part. Nimba, Chirayata, Kadupadawal, Vasa, Gulwel, Maka, Pittapapada, Dhayati, Triphala. It is useful in treating hyperacidity, acid reflux, indigestion, constipation, heart burns etc. 2 – 4 teaspoons twice daily with twice quantity of water after meals. Useful in chronic fever. Anti pyretic, anti-spasmodic, cooling. Indicated to massage in rickets and burning sensation in extremities. Useful in treating cough pain in chest, head & forehead. General debility. Yashtimadhu, Mishraiya, Roonammati/Swarnapatri, Sarkara, Shuddha Gandhak, Ashwagandha, Vanshlochan.